Our recent cruise to the Norwegian archipelago of Svalbard already has us researching a return trip to the Arctic. For the most part, scenery in the Arctic is stark. 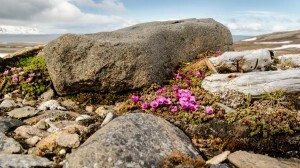 Wildlife, other than birds, is scattered and difficult to find. Stark though it may be, the Arctic is, nevertheless, a fascinating region of majestic ice, hardy plants and persistent animals. Giant ice caps soared above our heads, glistening a brilliant blue in high sunlight. 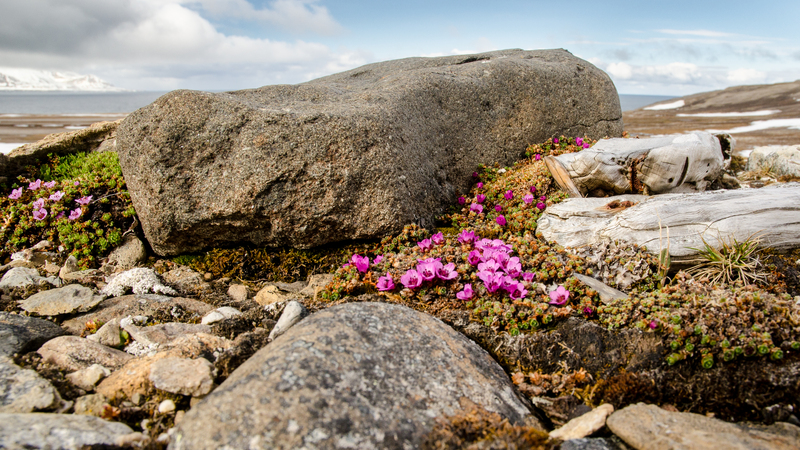 When we landed on the rocky beaches, we found that valleys that had appeared dull and lifeless from the ship were actually covered in spongy mosses and tiny purple flowers. Barren hills wore tattered rags of melting snow. We were lucky enough to see a few polar bears—from the ship— and to have one of those illusive bears lumber across the ice to approach our ship. Approximately 30,000 reindeer call Svalbard home too. 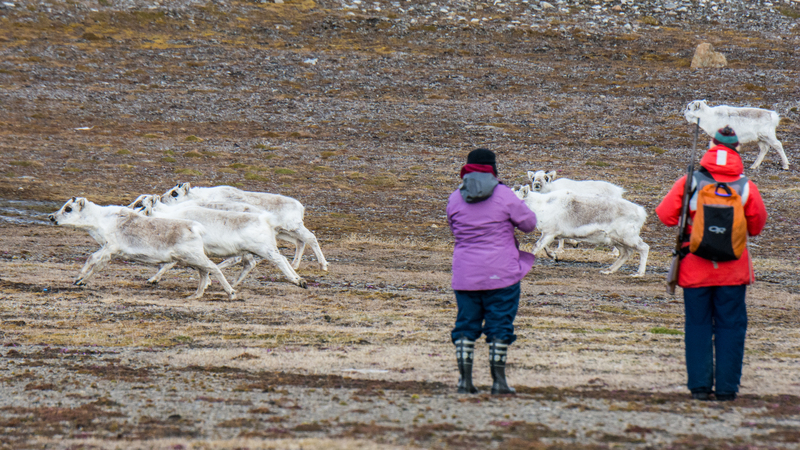 One morning at least sixteen reindeer were feeding on mosses and lichens when we went ashore. Yes, the Arctic is harsh, yet captivating and full of surprises, and we’re eager to search for more polar bears, walruses, and staggeringly beautiful ice, next time in Greenland and Canada’s Baffin Island.